In the first post of this series I surmised that if three criteria are applied to the sayings in Christian scripture, then the contours of a revolutionary teaching emerge. The three criteria are dissimilarity, coherence, and impracticality. For various reasons as discussed below, these criteria show that the teaching could not have been “invented” but derived from a historical figure. When it comes to the Jesus tradition, there are numerous “sayings” (parables and aphorisms) which scholars have long perceived conform neither to Jewish nor to Hellenistic religious and cultural norms. This is the criterion of dissimilarity, a criterion which allows us to delimit a number of sayings in Christian scripture with neither precedent nor ready parallel. I’ve identified about 150 such sayings from Crossan’s Sayings Parallels (Fortress, 1986). When we look at these “dissimilar” sayings, we note that they are internally coherent. Though they relate well neither to Judaism nor to Hellenism, they do relate well to one other, and they do so in a number of ways (to be discussed in a subsequent post). This is the criterion of coherence. Thus, we can now speak not merely of original sayings, but of an original “body” of teaching. This is a considerable step forward. Thus, when we combine the three criteria of dissimilarity, coherence, and impracticality, we can be quite certain that a remarkable human prophet lay at the root of the Christian religion. That prophet was not at all interested in ‘the things of the world.’ By analyzing the sayings in question, we will get a pretty good “spiritual profile” of the prophet, even though he has thus far been lost to history. Liberal scholars have long doubted Jesus of Nazareth’s divine attributes, from his virgin birth to his bodily resurrection. They have similarly doubted the figure’s miraculous capabilities during life. Finally, they have successively proven the minutiae of that life to be ahistorical in numerous cases—the birth in Bethlehem, the slaughter of the innocents, the youth in Nazareth, etc. etc. 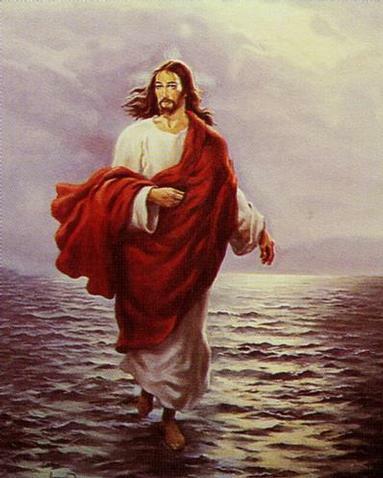 For a number of reasons, we can now be certain that “Jesus of Nazareth” did not exist. At the beginning of this third millennium, a scholarly consensus is developing which views the Jesus story as a retrojection of the second century CE back into pre-70 CE Palestine. The presence of Pharisees in the Galillee, the existence of synagogues, even the existence of Nazareth itself—these and other anachronisms argue that the Jesus figure was created sometime after 70 CE. The ancients dovetailed their hyperinflated figure of Jesus to long-simmering apocalyptic and eschatological hopes, hopes that were reignited by the crushing Roman defeat of the Jews in 70 CE. Our generation is also witnessing a thorough re-evaluation of the Pauline writings. The merciless gaze of science reveals that Paul, too, is a far more complex—and possibly later—entity than at first meets the eye. A generation ago H. Koester isolated seven authentic Pauline letters, some cobbled together. This has been prevailing liberal opinion for some time. Now, however, the subfield of “Pauline mythicism” is gaining strength, as scholars such as Hermann Detering continue on the path blazed by the Dutch Radical School. Judaism, too, is experiencing increasing stress from scholarship which shows that David, Solomon, and their vaunted kingdom are as mythical as King Arthur, Sir Galahad, and Camelot. Without David, it is reasonable to question whether the existence of Judaism is possible. Without Jesus, the same can be doubted for Christianity. In religious studies, then, the arc of history is bending towards mythicism on multiple fronts. If not “Jesus,” then who? Though mythicism shows that Jesus and other iconic figures did not exist, it does not completely satisfy our quest if, as argued above, there was indeed a seminal prophet underlying the Christian religion. Mythicism is preliminary in that it removes the baggage of Christian faith—faith in Jesus of Nazareth, Lord and Savior. In so doing, mythicism allows science to proceed. But mythicism does not replace science, nor does it replace religion. It should be stated at the outset that the invention of Jesus of Nazareth in late antiquity was unethical. Some try to evade the “moral duplicity” accusation by arguing that the ancients did not have modern standards of history. But that argument is inapplicable, for the authors of the canonical gospels were obviously not interested in writing history. They were interested in what scholars call the Pauline kerygma: that Jesus Christ was the Son of God whose death on the cross saves all who believe in Him. The gospels are primarily vehicles of that message. Their implicit purposes are to kindle faith and to thereby establish a religion. In other words, their religion was founded on a lie—the “Jesus” lie. This radical conclusion is inevitable and inescapable. Mythicism is based on firm proof that Christianity has been duplicitous from the beginning. It is evident that the morally compromised people who fashioned the Christian religion would also not have shied away from erasing every possible trace of a competing prophet who, in fact, had more right to the teachings of Jesus than did “Jesus” himself. This helps to explain the inordinate difficulty modern researchers have in sorting out Christian origins, for the traces of that lost prophet were deliberately obliterated or—where obliteration was not possible—they were mangled and confused from the start. This is the only possible explanation for the farrago that is Christian origins. 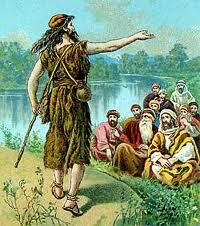 Researchers have long known that John the Baptist was intimately linked with Christian origins. Bultmann and others argued that John was, in fact, the greater figure on the contemporary scene when compared to Jesus. We also have indications that “Jesus” was originally a spiritual entity, not at all fleshly. At one time, John, James, and others may have “possessed” the spirit of Jesus. This long lost view would satisfy the mythicist thesis that Jesus of Nazareth never existed. It would also satisfy the view that another prophet—perhaps “John the Baptist”—was the historical figure who stands behind the core sayings found in the New Testament. In any case, whatever we think we know about John the Baptist from the Christian writings must be deemed untrustworthy. Fortunately, Mandean writings preserve traditions about the Baptist which have evaded the ruthless Christian scalpel. The Dead Sea Scriptures revere a Teacher of Righteousness (TR), a figure in many ways as enigmatic as “Jesus.” Many attempts have been made to locate the TR in history, and numerous possible identifications have been made. Robert Eisenman has conflated the TR with early Christianity. Barbara Thiering has also conflated the Dead Sea Scriptures with Christian origins (though she posits that Jesus was the “Wicked Priest”). A final possibility must be considered. 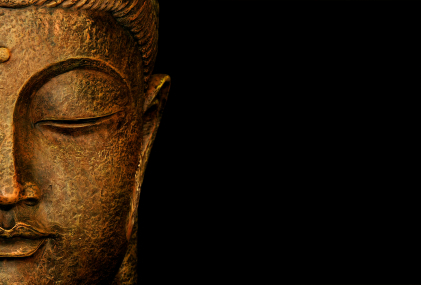 Some like myself, who have studied both Christianity and Buddhism, have noted remarkable parallels between the two religions. My assessment of the 150 “core” Christian sayings shows that those sayings are astonishingly compatible with Buddhist teaching. We have, as a result, a situation where that which is authentic in the Jesus tradition is on the one hand not compatible with Judaism nor with Hellenism, but on the other hand is compatible with Buddhism. This situation opens another realm of possibilities. (1) The core sayings under discussion were distant offshoots of Buddhism and there was no “lost prophet” behind Christianity at all. Christianity would then be viewed as a western offshoot of Buddhism, one much perverted by Paulinism. (2) The core sayings were the teaching of a lost Levantine prophet who himself came under Buddhist influence, and/or who arrived at a similar analysis of life as did the Buddha. The difference between these two possibilities, of course, is that in the former case no western prophet is at the root of Christianity, while in the latter case one is. 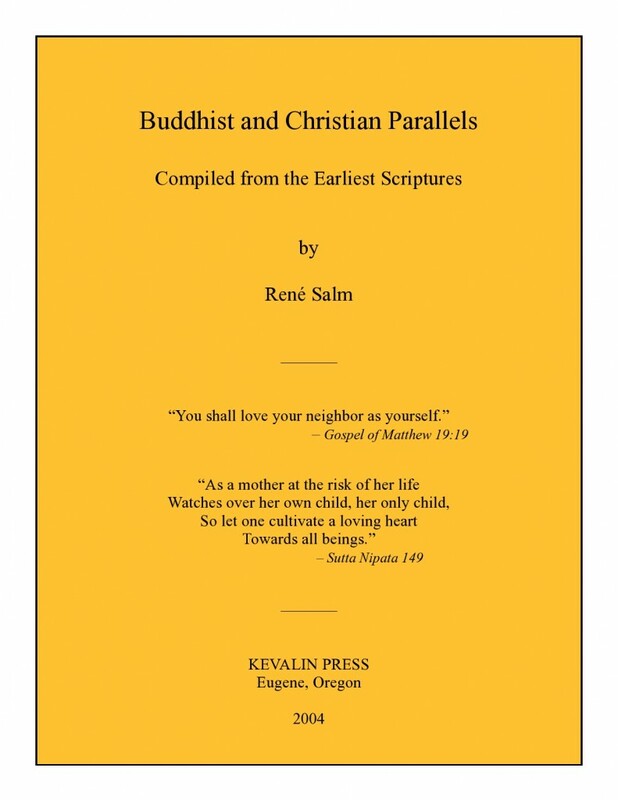 In 2004 I self-published a book called Buddhist and Christian Parallels (PDF). It contains 57 short chapters and many citations showing remarkable parallels between the Buddhist and Christian scriptures. That book was the culmination of twenty years study of the Buddhist texts, many in the original language. According to my analysis, the possibility (1) above is ruled out. In other words, the Christian scriptures cannot reflect Buddhism without the mediation of an altogether unique western prophet. This can be concluded because the core sayings in question contain the unmistakable “stamp” of a single personality, one emphatically not present in the Indian tradition. In fact, the unmistakable “stamp” of Siddhartha Gautama’s personality similarly comes through in the Buddhist scriptures. It is clearly not the same personality as that of the western prophet. Both are strong, uncompromising figures, with a heroic and forthright manner which combines reason and effort in equal measure—mind and heart. But the styles of the two teachers are different. The Buddha explained through reasoned analysis, using stories as necessary to illustrate his metaphysics. The Christ explained through stories, using reason as necessary to explain his art. One perhaps was left-brained, the other right-brained. Confirmation comes from the fact that—with only one or two late exceptions (such as “the Prodigal Son,” which probably comes from Mahayana Buddhism)—the 17 core parables of “Jesus” have no parallels in Buddhist scripture, though they have the very same teachings. This suggests that we are dealing with two different teachers, yet one teaching. In sum, it appears to me that two teachers arose whose lives were separated by over five centuries. One was born in India and the other in Palestine. The two taught much the same ethical code, emphasizing humility, non-acquisition, and love. They also taught a similar path to truth (gnosis), emphasizing effort and renunciation. However, the different form of their teachings bears in each case the inevitable stamp of an independent, strong, and altogether positive personality. Do you consider that Matthew used “Nazareth” as allegory for “Nazarene”? Hi Robert. I think Matthew was the first evangelist to become aware of a village called “Nazaret.” I discuss this at MoN 302-05 and posit a Matthaean evangelist, a First Redactor, and a Second Redactor. The appearance of a new village called “Natsareth” was just too good to pass up where Mt was concerned, for the “lost” prophet upon whom Jesus was modeled was precisely a Natsarene. Mark had known nothing of a village of Nazareth. By placing Jesus’ provenance in Nazareth, Matthew tried to jettison the hated (gnostic) Natsarene content and neutralize it with a gentilic: “of Nazareth.” The only problem was that Mark (before him) had wrongly transcribed “Natsarene” with a zeta into Greek (thus, “Nazarene”). Rather than counter Mark, Matthew simply perpetuated the linguistic error, and his “Nazoraios” and “Natsareth” are not compatible (zeta vs. tsade). No big deal, so he thought. That’s my view at this time, but I’m open to any suggestions.–RS. Wow first time reading a connection between buddhism and Jesus’ teachings. I have a drawing probably from a painting of a Orthodox Jesus shaking hands with Buddha ! So I’ll keep reading on your website to learn more. Also one question, what about that Samaritan prophet being put to death by Pilate around 35 or 36 CE ? John’s gospel have references to Samaritan, so could that the man ? For Buddhist background on early Christianity see here (historical connections), the PDF above (religious parallels), and click on the category “Buddhism” at the top of this post. About the unnamed Samaritan prophet in 36 CE, we have only the account in Josephus Ant. 18.85-89, where we read that the prophet bid his followers to “go in a body with him to Mount Gerizim, which in their belief is the most sacred of mountains. He assured them that on their arrival he would show them the sacred vessels which were buried there, where Moses had deposited them.” Some suppose that the prophet therefore considered himself a Moses redivivus. Pilate evidently slaughtered the leaders and was as a result recalled to Rome. I find this interesting, but unfortunately we have very little data on this prophet.